Numbered Final Fantasy goes multiplayer. The Final Fantasy XV multiplayer expansion, “Comrades,” is available now for PlayStation 4 via the PlayStation Store and Xbox One via the Xbox Games Store, Square Enix announced. It is included with the $24.99 Final Fantasy XV Season Pass, and can also be purchased separately for $19.99. A free update was released alongside the expansion, which enables players to accept multiple hunt quests at one time and adding new cooking recipes. Given its multiplayer contents, “Comrades” requires a PlayStation Plus subscription on PlayStation 4, or an Xbox Live Gold membership on Xbox One. An Internet connection is also required. Taking place after the events of Chapter 13 in the main game, Comrades puts fans in the shoes of the remaining survivors of the Kingsglaive as they fight to restore the Light to the world during Noctis’s absence. In Comrades, players can create and customize their own avatar and partake in epic quests in a world engulfed by darkness. As members of the Kingsglaive, players will equip royal sigils that grant special powers from the rulers of old, strategize with one another and create a balanced team in battles against formidable foes and beasts. In addition to multiplayer quests, players can experience the story unfold in a thorough single-player campaign. 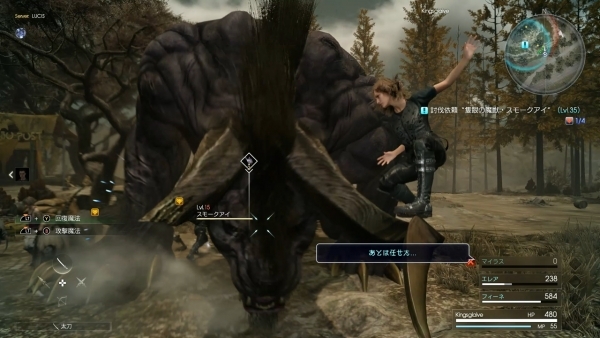 By using the base of operations in Lestallum, the player can undertake a variety of exciting quests and encounter familiar faces. Watch the launch trailer below. View a set of screenshots at the gallery.